Meet Just a Few of Our Partners Pledging Their Support to SSP This #GivingTuesday. Herbal Revolution Farm and Apothecary provides high-quality herbal teas, tonics, and elixirs, all handcrafted in small batches. Herbal Revolution is based in beautiful midcoast Maine, where Kathi Langelier and her team gather wild herbs in a sustainable way from the coast, fields, and forests. Herbal Revolution products are made in small batches to ensure the integrity and quality of the herbs that are being used. Every step in the process is taken with great care and respect, infusing the herbs and the products with positive intentions of health and wellness. Herbal Revolution is donating 60% of all online sales on #GivingTuesday to the Siddhartha School Scholarship Fund. We are honored that Herbal Revolution, as our newest #GivingTuesday partner, is making such a generous and kind pledge to help SSP raise money for student scholarships. 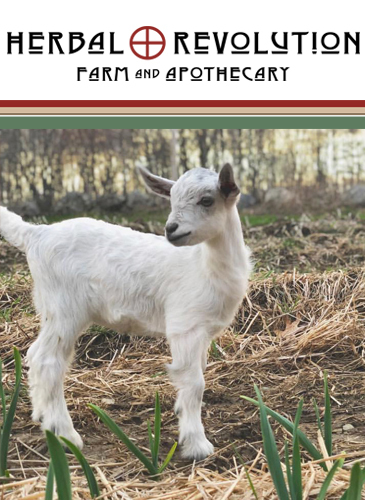 We’ve also fallen in love with Kathi’s baby goat, Flora, (pictured helping out in the garlic field). From Maine to Ladakh, it’s all about the kids! You can contact SoulSpace here to make your appointment. She advises her clients to book ahead for this special day and “know that while receiving a healing acupuncture treatment from me, you are giving back to a wonderful cause,” and she shares that she is impressed that Siddhartha School is the first of its kind to have social, emotional and secular, ethical learning as a core component of the curriculum. Global Family Travels in Seattle, WA, is grateful to be a longtime partner of the Siddhartha School Project, and we salute its successful endeavors to provide quality education to Ladakhi youth while preserving and enhancing the local culture of Ladakh. 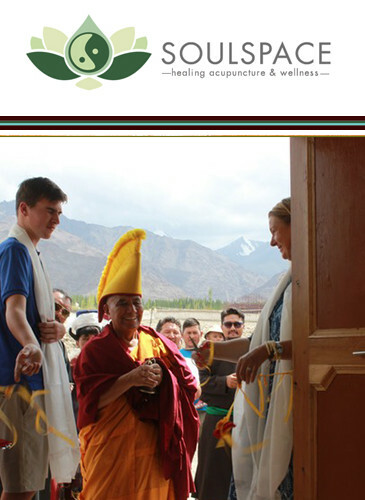 Founder Jennifer Spatz has been blessed to visit SSP the last two summers while leading trips to Ladakh for clients and donors of the project. (Read about one adventure here!) She is pictured here with Stanzin Tsephal, the SSP student her family has sponsored for many years. 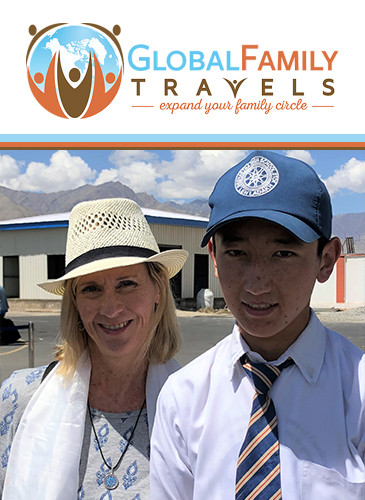 On #GivingTuesday, Global Family Travels is offering $200 to the Siddhartha School campaign for each person who joins one of its two trips to Ladakh next summer. Consider this meaningful holiday gift for the family! To honor this offer, the trip deposit needs to be received by December 1. Contact Jennifer Spatz for more information at info@globalfamilytravels.com or (844) 438-7854. Jigmat Couture in Leh, Ladakh, is a destination boutique for travelers and locals alike. The local Ladakhi fashion design duo has devoted their time and creative energy to creating gorgeous clothing and decor that celebrate the unique art, craft, and culture of LADAKH. Jigmat Couture is delighted to announce its support for Siddhartha School on #GivingTuesday and onward, pledging 20% of all sales generated by its guests and friends of SSP. We are honored to have its support and to spread the word to our supporters who love fine, beautifully designed things. 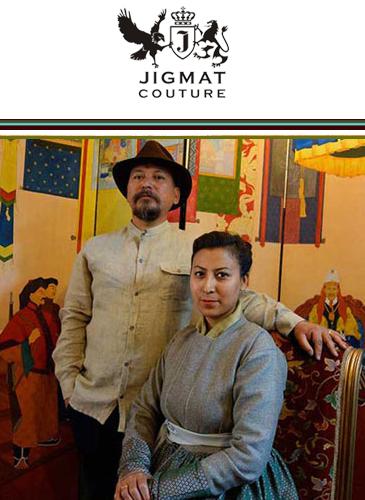 Jigmat Couture stands as an example of a sustainable, community-based business model; it pays the utmost respect to Ladakhi art and tradition while enriching the local economy, thereby absorbing skills of immensely talented artisans from remote corners of the region. The endeavor is to retain an umbilical connection with the huge talent resource of Ladakh’s mysterious craft and culture. 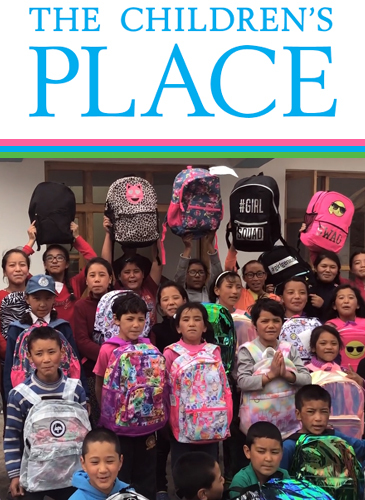 The Children’s Place is a global, pure-play children’s specialty apparel retailer that continues to generously provide Siddhartha School residential students with quality clothing and supplies. The Children’s Place 2018 #GivingTuesday gift to the school outfits our 60-plus residential students with a new set of clothes and backpacks for going back to school in March! We are so grateful to TCP for its continued, generous support for our students, who love their kid-friendly clothing and gear. Check back with us for updates on this growing list of special offers and acts of generosity from our growing community of #GivingTuesday partners.